Tim McGraw has released 15 albums, with 10 of those albums reaching the number one spot on the Top Country Charts starting in 1994 with Not A Moment Too Soon. Each album has produced number one hits on the charts throughout the last 30 plus years. With 25 out of 65 singles reaching number one on the Hot Country Charts and Radio airplay, the fans have spoken about the type of music that stays with us throughout the years and makes a lasting impression. 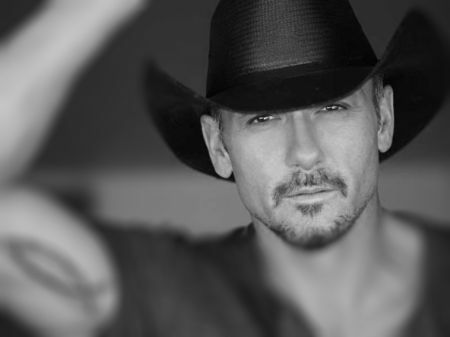 Tim McGraw has shown diversity with music and acting. He has gone outside of tradition by recording an album with his touring band The Dancehall Doctors instead of using session musicians which is more common. Tim has show us he can be in a comedy and make us laugh to more serious roles and make us cry. Here is a list of the Top 5 Tim McGraw music videos. Don't Take The Girl was Tim McGraw's first number one song on the charts in March of 1994 and was the second single released from the album Not A Moment Too Soon. A touching song about a young boy who didn't like the idea of a girl going fishing and ultimately falls in love with her over the years. It shows how life comes full circle, a young boy growing into a respectful man protecting the woman he loves. It's Your Love featuring Tim's wife Faith Hill reached number one it's fifth week on the charts in May of 1997 and was the first single from his fourth album. It was also Tim and Faith's first top 10 hit together. The song talks about emotion between two people and how much their love for each other takes control and compliments their life all at the same time. Live Like You Were Dying was the first single and title track from his eighth album in 2004. Dedicated to his father who passed from a brain tumor, live your life to the fullest because you never know when life will be taken from you. It touches on the one thing that goes through everyone's mind when they are given the words that a single person never wants to hear. Meanwhile Back At Mama's brings back all the memories of growing up when life was so much simpler and enjoyable. Knowing you always have a place to return to no matter how hard life is. With over 21 million views on this video, the music and the words draw you in to listen over and over making you wish your life was as simple as being back at Mama's. From Tim's third album All I Want. The song was released in 1995 and climbed the charts making it his third number one single. It brings you back to being a teenager learning how to become a man and knowing the difference between what is right and wrong. It shows how to treat someone and the way they return the favor.